Traditions of The Foreland of The Fylde. 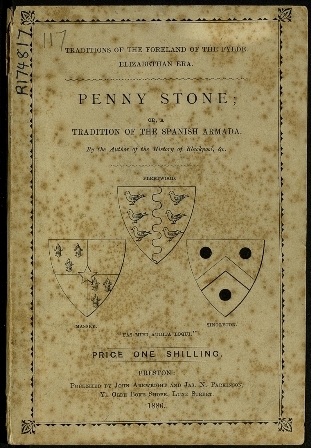 Penny-stone; or a Tradition of the Spanish Armada. The book can be downloaded in PDF format via JSTOR for free if you are a member of an affiliated library, university or organisation. It can also be purchased (the cost was US$10 in January 2010).